NO DIA em que o STF deliberou que um ex-presidente da República deve ser preso por crimes de corrupção e lavagem de dinheiro (acesse as provas juntadas e todo o processo no site do TRF-4, clicando aqui), fui convidado pela Universidade do Arizona, Estados Unidos, a debater os rumos da “esquerda” no país. Por maioria (6X5), mas dividido – o que mostra a autonomia do poder judiciário no Brasil, diferentemente ao que ocorre na Venezuela do bolivarianismo -, o STF se pronuncia, já pela quarta vez, sobre o mesmo tema: Condenados em segunda instância devem cumprir pena na cadeia, ainda que continuem seus recursos até a quarta instância. Former President Luíz Inácio Lula da Silva should be in jail for days. It was the Supreme Court of Brazil decision today early after eleven hours of reunion by all afternoon and night yesterday, April 4, 2018. Lula was convicted of two crimes: one under Brazilian Criminal Code (CPB). Other according to Law 9,613, approved in 1998 (Fernando Henrique Cardoso government). This law was updated in 2012 (Dilma Rousseff government) as Law 12,683. As a politician, Lula is an important leader. The union leader of the steel industry workers created the largest party in the country’s recent history, the Workers’ Party in 1980. This happened in the region of the automobile industry, comparable to the Detroit of good times, in the State of São Paulo, the most capitalist and developed State in Brazil. But it is not as a politician that Lula was convicted. In fact, Lula is guilty of five other cases in criminal justice. The ineditism is that this is the first conviction of a former President of the Republic for such crimes in Brazil. Sentenced in July 2017 by Judge Sergio Moro, Lula’s defense team filed an appeal against the sentence in higher court. 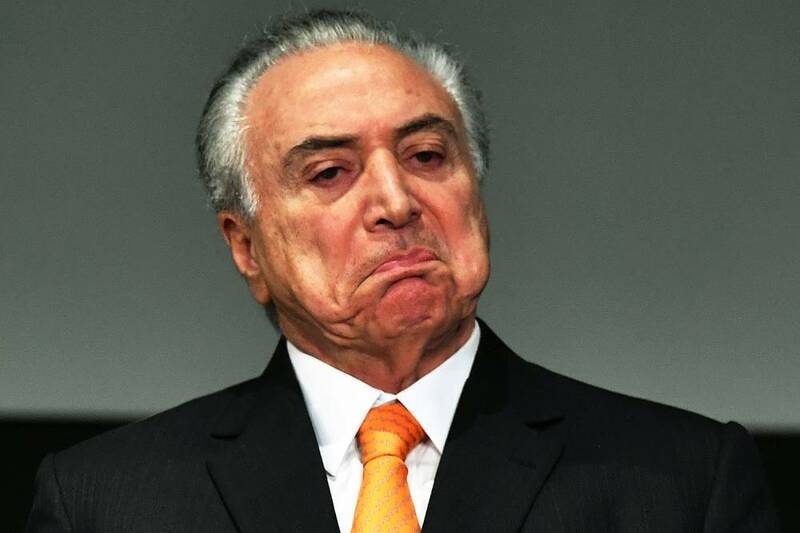 THE PRESENT PRESIDENT, MICHEL TEMER – which is been investigate for the same Supreme Court for similar crimes, today is protected for the Constitution. But he and others now know that after leave the mandate can has the same Lula´s destiny. In January of this year the collegiate of 3 justices of the Federal Regional Court in Porto Alegre, State of Rio Grande do Sul, confirmed Moro’s earlier monocratic sentence. They increased the Lula´s sentence to 12 years and a month in prison, initially without parole. Lula’s defense then appealed to Brazil’s high court of Justice. There, too, the five-member collegiate denied defense arguments. 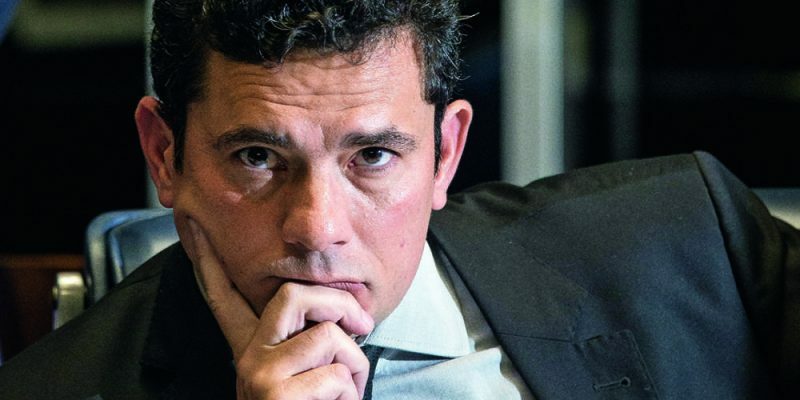 This means that the sentence of Sergio Moro finds solid elements of conviction in the evidence brought to the process by the team of investigators of the so-called “Operation Lava Jato” (Car Wash Operation). The Brazilian Federal Prosecution Office, which also investigates and is responsible for filing the complaint or requesting the filing of the case against the accused. Sergio Moro convicted Lula based on the evidence brought to the judiciary by the Public Prosecutor, Police, and Federal Revenue Service. The accused, by his power of influence and financial resources, was able to defend himself against the accusation and contradict the evidence. The evidence in the process is available for public scrutiny. Anyone on the planet can access the Federal Justice website and access the process. Look for the code ACr 5046512-94.2016.404.7000/TRF at the address http://www.trf4.jus.br. In the first of the six lawsuits that responds to corruption, money laundering, influence peddling, etc., Former President Lula has not been condemned because he is the most popular name of the so-called “leftist camp” today. He committed crimes under Brazilian law. In a democracy, the law is valid for everyone. It is not because I am left or right, and I am a popular politician, that I become above the law. Because he committed crimes should be punished just as you and I would. This is the game. Lula knows that. It is important to stress that the “Left” in Brazil and Latin America is characterized much more by its populism than by philosophical or ideological principles. Since it began in 2014, “Lava Jato” has already condemned 144 defendants, by February this year. “Lava Jato” is the largest and most important anti-corruption operation in history, under Judge Sergio Moro and others, such as Marcelo Bretas from Rio de Janeiro. Both of the first instance of the judiciary. They cannot judgment personalities of the high level of the government, only whom do not have what here is called “Foro Privilegiado”. HIGHS AUTHORITIES of Republic, like President, Senators, and Representatives has the privilege of be judgments directly in the Supreme Court, the last instance of the Brazilian Judiciary Power. Other examples of powerful defendants in the Lava Jato case are the Brazilian political and business elite, the owners of the three largest multinational contractors – Odebrecht, OAS and Camargo Correa – and former directors of the country’s largest state-owned companies, Petrobras and Bank of Brasil. Plus the brokers of the dollar exchange market, here called doleiros, with whom the investigations began in 2014. The political nucleus of the criminals involved in the Lava Jato goes beyond the political party hawks like Lula and many leaders of the PT elite. 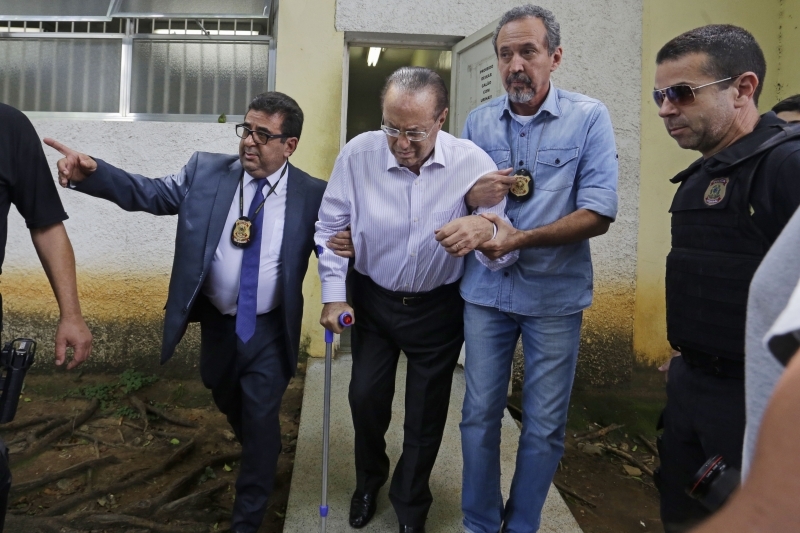 Important political bosses have already been convicted and imprisoned, such as Eduardo Cunha of the MDB, former speaker of the House of Representatives (Congress) and responsible for accepting Dilma Rousseff’s impeachment in 2016. Also convicted from the MDB political party was the former governor of Rio de Janeiro Sérgio Cabral, key ally of Lula and the PT for decades. Other convicted individuals are from PTB political party (Gim Argello), PP political party (João Claudio Genu and Pedro Corrêa). Many others, from at least 28 political parties, remain in prison and investigated in every state of the Union. No significant party escapes, including Senator Aecio Neves, from PSDB and former opponent to Dilma Rousseff in the 2014 elections. Noteworthy: The situation of Neves, who won more than 51 million votes in the presidential race with Rousseff (54 million) in 2014, goes from bad to worse. Because of the fight against corruption, in 2017 he was suspended from office as Senator and was placed under house arrest. The court requested the annulment of his mandate (not accepted by the Senate). TODAY AÉCIO NEVES will probably not be able to run for office in Minas Gerais again, the state in which he was the absolute leader, whether for office as governor or senator. At present, the Brazilian court has convicted for corruption and money laundering and has sent to prison the champions of the popular vote, Paulo Maluf (PP political party) of São Paulo. Maluf is a old conservative with whom the PT made alliances to elected the mayor of the capital, Fernando Haddad, in 2012. It should be stressed that such alliances were not ideological – with sectors of the elite and conservatives, old colonels of the old Brazilian politics, such as José Sarney, Renan Calheiros, Romero Jucá, Antonio Carlos Magalhães – who allowed the arrival of Lula and the PT to the command of the Republic in the 2002 elections. Dilma Rousseff administration after 2010, when Lula gave her the Presidency, resulted in the loss of partisan support in the National Congress. Next came the unfolding of the Lava Jato investigations after 2014, the impeachment of Rousseff and the failure of the PT in the municipal elections of 2016. With the failure of PT’s economic policy the Brazilian “left” lost its sanity. This “Left” without sanity sees in Lula, which remains with the support of 1/3 of public opinion, the electoral potential necessary not to be swept from the map in the October elections of this 2018. Little is said where the support of the 2/3 majority is going, but it is worrisome to see the uprising on the horizon of the reverse side of the Lula’s populism: candidate Jair Bolsonaro, a troglodyte conservative. For Brazilians to get rid of the phantasmagoric spectrum of Lula and the latent threat of Bolsonaro to civilizational values, the way out is to overcome the presence of both in the political debate. Lula is in trouble with the police and justice; Bolsonaro must be defeated at the polls for a political proposal more feasible to overcome the difficulties faced by a country as important as Brazil. This country cannot be in the hands of irresponsible politicians: whether they belong to the “right”, like Bolsonaro, or to the “left” that Lula became part of. Lula findou seu mandato presidencial, em 2010, com mais de 80% de aprovação. A explicação para isso não estaria no seu charme, na sua notória inteligência ou na suposta ignorância do “Zé Povinho”, mas nos dados comprovados pelos institutos de pesquisa e sentidos na vida pelo povo brasileiro. Durante esse período verificou-se a maior distribuição de renda da história do Brasil, cujos efeitos implicaram diretamente a redução da abissal desigualdade socioeconômica que ainda separa ricos e pobres. Contribuíram também para o crescimento da renda dos mais pobres os aumentos do salário mínimo acima da inflação, os investimentos em programas sociais como o Bolsa Família (em que pesem suas distorções), o acesso dos mais pobres ao Ensino Superior por meio do Prouni e do FIES. Tudo isso capitaneado pelo crescimento do PIB a 7,5%, o maior desde a reabertura política. Diante disso, resta a pergunta? Como explicar ao povo que Lula pode ser preso por motivo justo ao passo que tantos outros figurões da política, igualmente ou mais corruptos e que jamais produziram resultados positivos para o país, permanecem soltos vez que seus inquéritos e processos não têm prosseguimento, permanecem estacionários? Ainda soma-se a isso a flagrante imparcialidade da justiça na condução do processo contra o réu: a celeridade incomum das decisões e da tramitação processuais, as ilações confessadas pelo juízo em face da ausência de algumas provas materiais, a divulgação ilícita de interceptações telefônicas envolvendo a presidência da República. A prisão após exauridos os recursos em segunda instância é uma decisão justa, sobremaneira, para com aqueles que não possuem recursos suficientes para postergar e prescrever o trânsito em julgado. Por isso, para evitar contradições hermenêuticas, o respectivo dispositivo constitucional deveria mesmo ser modificado via Congresso Nacional. A justiça deve ser a mesma para toda e qualquer pessoa, seja um cidadão comum ou um ex-presidente. Pois então que seja feita a justiça, e que todos os agentes políticos corruptos sofram punição. Que a justiça seja igualmente célere e eficiente para com todos os demais culpados, que não distorça elementos de prova contidos em inquéritos, para assim evitar processar quem deve ser responsabilizado. Posto que, muitos medalhões da política brasileira ainda só não tiveram a mesma “má sorte” de Lula por causa da impunidade e leniência da justiça brasileira para com alguns “privilegiados”. Então, para que não restem acusações sobre perseguição política ao ex-presidente, será necessário levar à cadeia muito mais que apenas Eduardo Cunha, Sérgio Cabral e outros políticos de menor expressão.